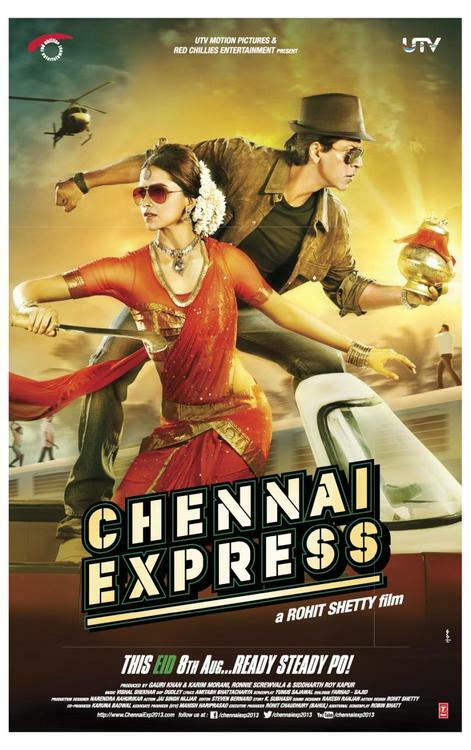 The first look of UTV Motion Pictures’ and Red Chillies Entertainments Pvt Ltd.’s Chennai Express created a frenzy amongst fans. To take that excitement further the much awaited music of Chennai Express was launched on Wednesday 3 July at a star studded event in Mumbai in the presence of actress Deepika Padukone, Shah Rukh Khan - Actor and Producer, Red Chillies Entertainments Pvt Ltd, Ronnie Screwvala - Managing Director, Disney UTV, Bhushan Kumar, Chairman and Managing Director, T-Series, director Rohit Shetty and music directors Vishal-Shekhar. Songs released from the movie are already topping the popular music charts. The album boasts of an array of 8 songs from foot tapping dance numbers like ‘1234 Get on the dance floor’ and ‘Ready Steady Po’ to a soulful rendition like ‘Titli’, from love songs to total entertainment ones like ‘Chipak Chipak Ke’, ‘Tera Rasta Chhodon Na’, ‘Kashmir Main, Tu Kanyakumari’ and even the title track ‘Chennai Express’ which is specially sung by S P Balasubramaniam. The lyrics for the album have been written by Amitabh Bhattacharya. “Chennai Express has been a reunion of sorts for me. My first film was with SRK as a co-star, Manish Malhotra did my costumes and Vishal-Shekhar composed the music. I love all the songs and the way Vishal-Shekhar have beautifully amalgamated the theme and the tracks. Titli is my favourite one,” said actress Deepika Padukone. “I am very excited about the music of our film because of Vishal and Shekhar. They have put together a brilliant album keeping the theme of the film in mind. Having worked with them for Golmaal 1, I am very glad that we have come together for Chennai Express too,” said director Rohit Shetty. 'The music of Chennai Express, like the movie itself, is very fresh. Vishal and Shekhar have woven in south Indian influences in the tracks, making an interesting and differentiated offering. There are big ticket celebratory numbers like 1,2,3,4 as well beautiful melodies like Titli. Though my personal favourite is the title track which gives us the pleasure of hearing SP Balasubramanium's unique voice after a long time.' said Manish Hariprasad, Creative Director – Studios, Disney UTV. "It is always a great pleasure to work with Shah Rukh Khan. T-Series has been associated with him right from his first home production Main Hoon Na. 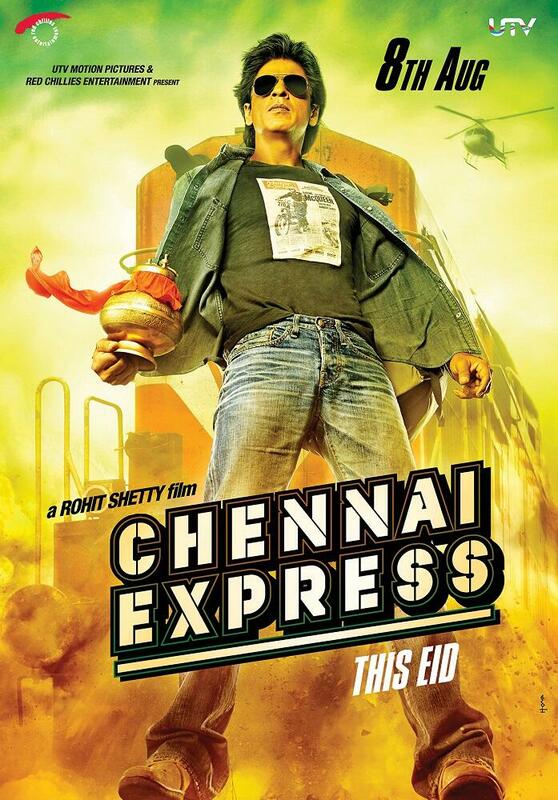 SRK has a great taste for music which is evident from Don 2, Ra.One, Om Shanti Om and now Chennai Express. Chennai Express is a great mixture of various flavours and melodies collated amazingly by Vishal-Shekhar," said Bhushan Kumar, Chairman and Managing Director T-Series. “Chennai Express' music IS the film. Love, humour, action, comedy, it's all in the songs. Also it is a genuine homage to South Indian culture / music,” said music directors Vishal and Shekhar. Chennai Express will hit theatres worldwide on Eid - 8 August 2013. The story of a Mumbai boy (Shah Rukh Khan) who embarks on a journey to a small town in Tamil Nadu, only to fulfil the last wish of his grandfather to have his ashes immersed in Rameshwaram. En route, he meets a South Indian girl (Deepika Padukone) hailing from an orthodox family. As they find love through this journey in the exuberant lands of South India, the clash of cultures awaits them. What follows is a series of adventures where he finds himself in new surroundings, challenged with an unfamiliar language! 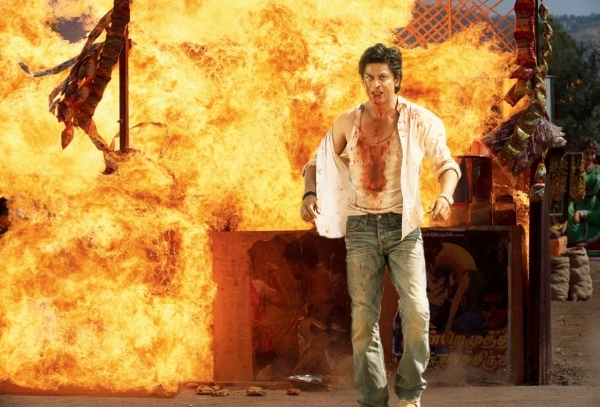 Chennai Express is an action packed romantic movie.Come fall in love… Rohit Shetty style!